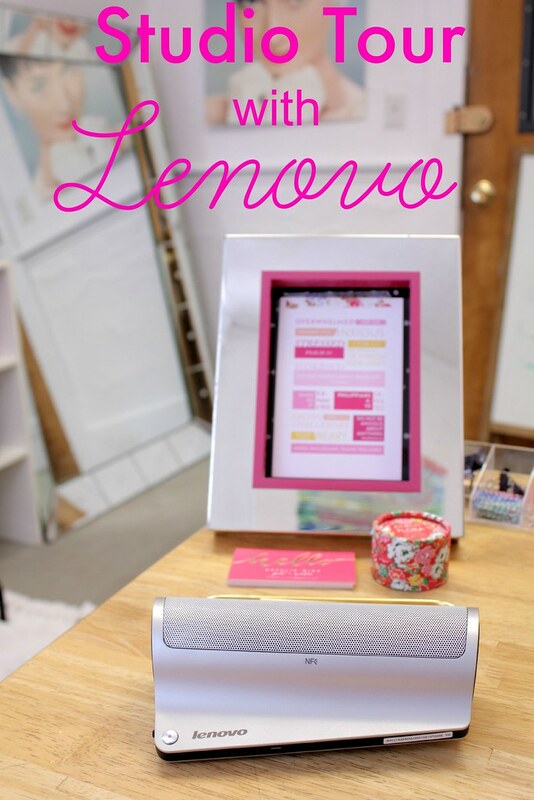 Good Girl Style: Lenovo Bluetooth Speaker, New Studio & *GIVEAWAY*! 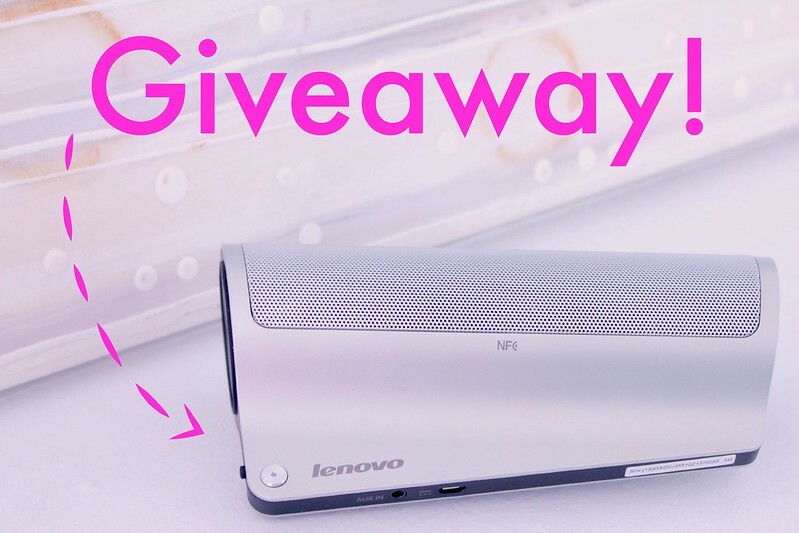 Lenovo Bluetooth Speaker, New Studio & *GIVEAWAY*! 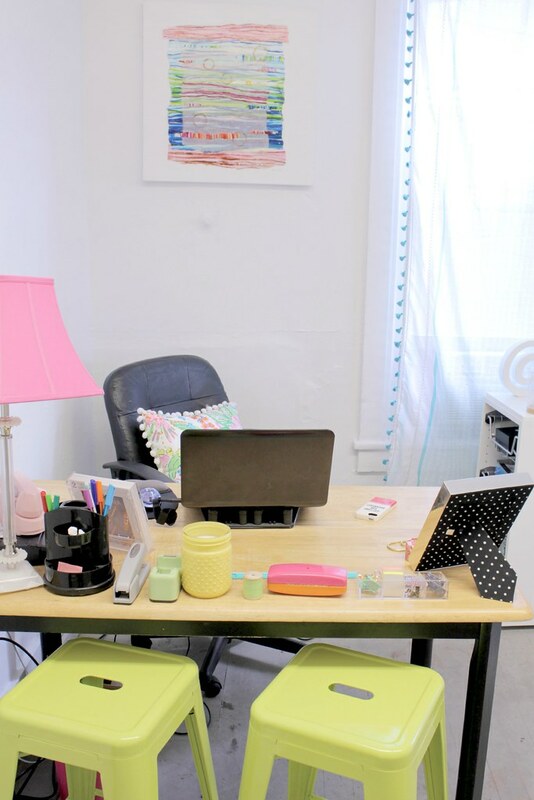 Today I am so thrilled to partner with Lenovo to show you my new studio AND my new Bluetooth speakers that make working in the studio so fun and easy. Gotta have me some tunes spinning to get in my writing groove. And for Friday Deadlines-are-Done Dance Parties, DUH. Enter this slick little baby, which is only 1.6 pounds and can sit horizontal like I have it or vertical, and offers a 270-degree sound experience. I absolutely LOVE the portability of this all-in-one speaker (major plus for this biz owner: it turns into a microphone + speakerphone for taking calls!). It offers up to 4 hours of wireless listening, then just plug it into your computer to keep listening and charge it up. 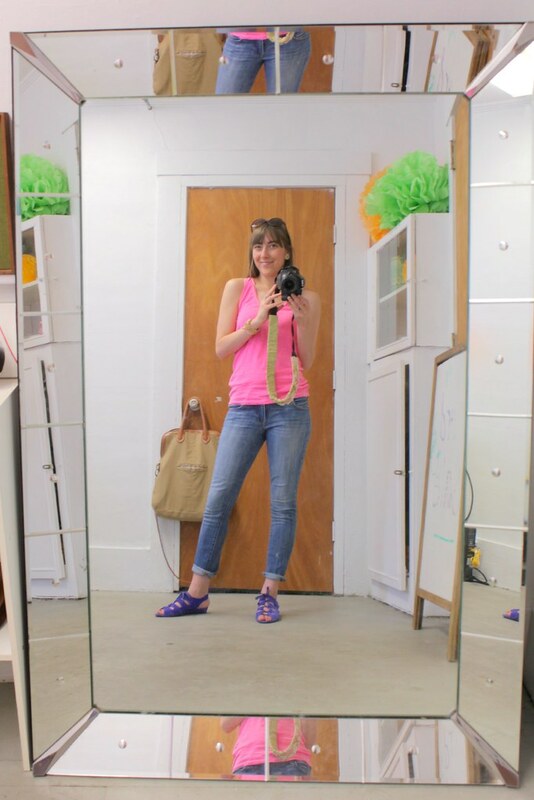 This is where you'll see most of my instagram outfit selfies...my giant awesome Art Deco antique mirror. 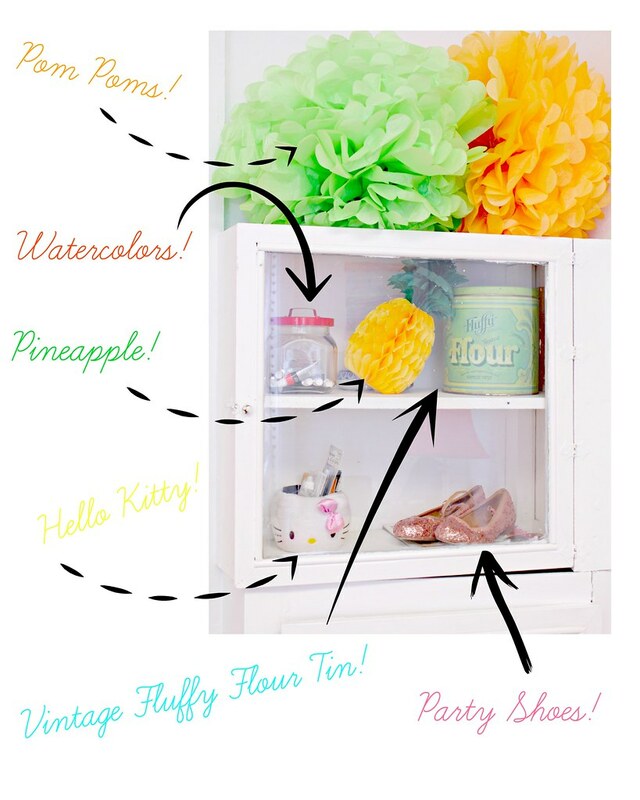 This is the real-deal, a true antique with so much pizazz it makes the whole room dazzle. Where the writing magic happens. One of mom's paintings hangs above my desk (she is a fine artist and shares the other half of the studio with me). 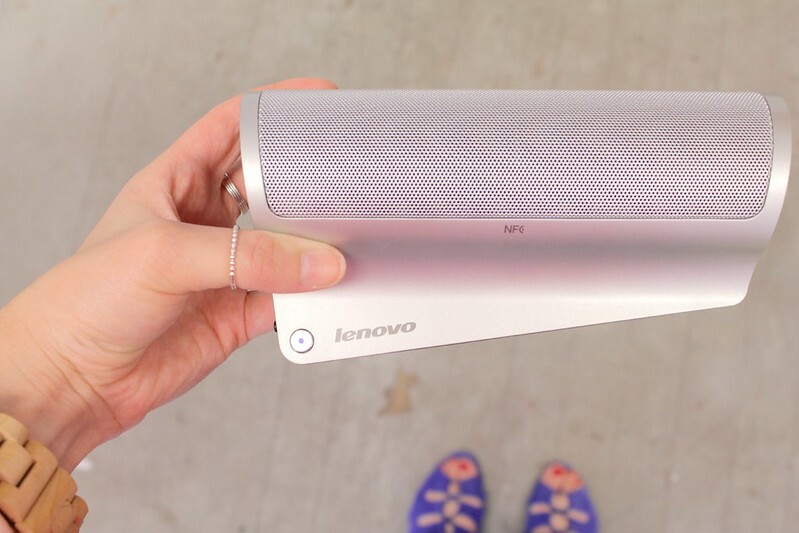 Since the Lenovo bluetooth speaker has such power and is so easily portable, it can head over to visit mom's side of the studio for a field trip. But that's another post entirely! 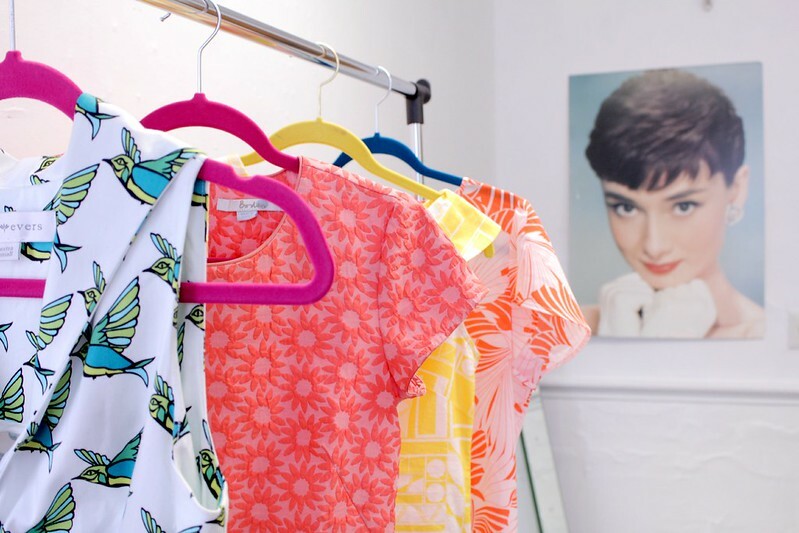 Pretty dresses hanging to keep me inspired, with Audrey keeping a watchful eye on things, of course. 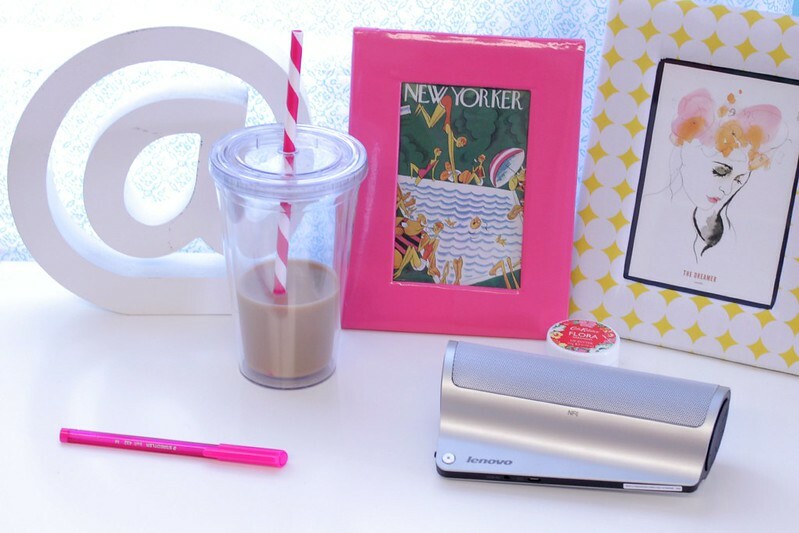 Office essentials: Iced coffee, pink pens and my Lenovo bluetooth speaker. I love how sleek the speaker is, it just melts into the surroundings with a modern look. More office essentials, including the "Open" sign I made with a paint pen and a leftover-Ikea-cabinet door-piece-random-thing. How much are we loving this vintage needlepoint I picked up? 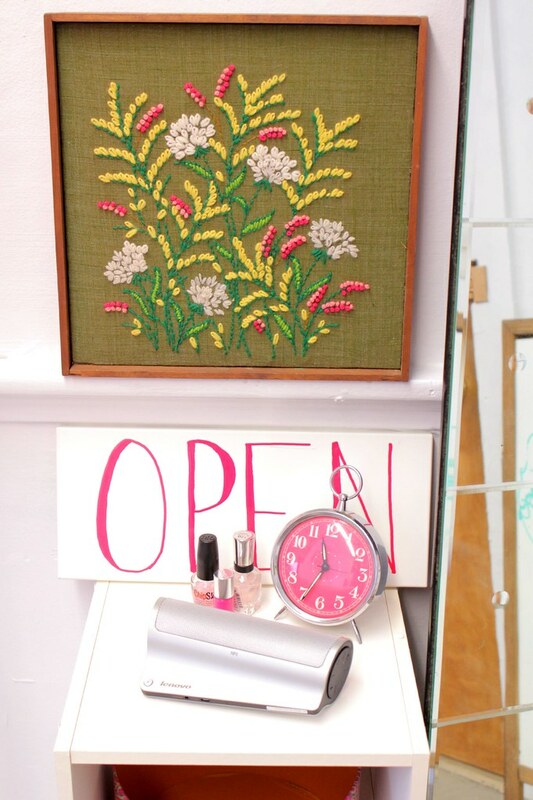 I think it's so great how the 70's needlepoint, the classic clock and the modern speaker still look good together. SPEAKING OF PARTIES, and speaking of speakers (I crack myself up), I get to GIVE AWAY one of these fabulous speakers to one of my fabulous readers! This couldn't be more exciting! 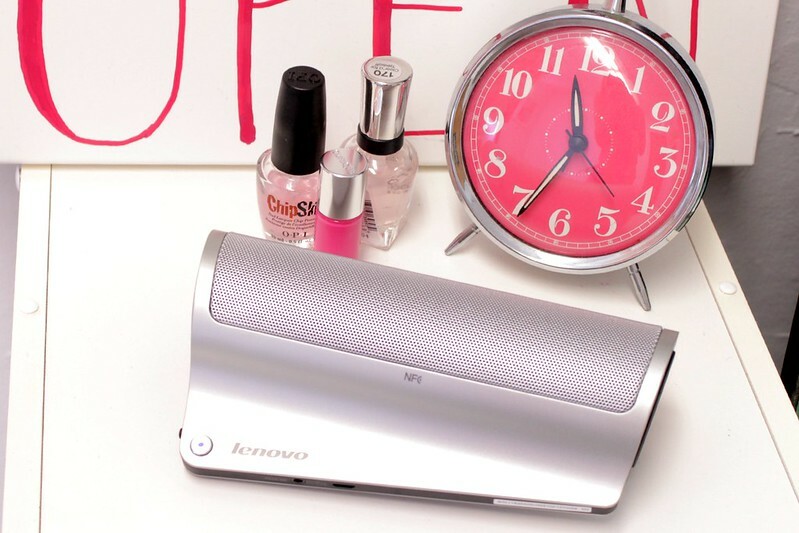 Somebody turn up the Lenovo speaker with the dance music! This would be perfect for our patio! 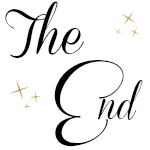 Thank you for the wonderful giveaway. Ooo, this would be fantastic to take to the kitchen for making dinner or baking! I'd probably take the speaker into the kitchen to keep me from being bored while I clean up the dishes or cook dinner. This would be GREAT in my office or as a gift for my DH, a music prof! Thanks for the chance, Natalie! I would use it while I work out. I would use it in the kitchen while I cook ! I would take it to the river while I relax on the beach, take it outside on the patio and also use it indoors while I'm housecleaning as I love to clean to music.